Discovering and Applying Biblical Precepts to the Building of Lasting, Quality Relationships, Including Marriage and How to Find the Person Who Is Right for You! 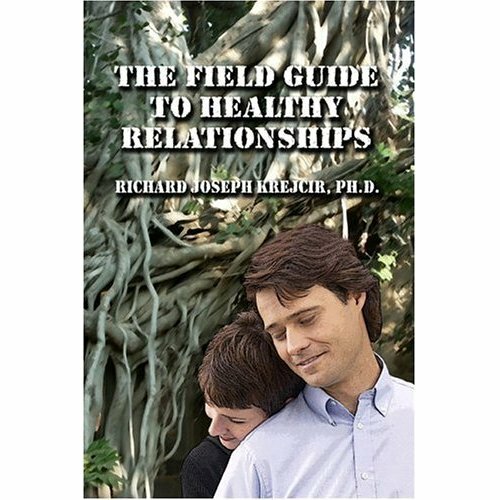 This incredible insightful book is a Tour Guide to lead you through the maze of confusing options, and the rough waters of relationships. One way to look at the world of relationships is to see it as a journey in a big, dark, and foreboding jungle, with many paths we could undertake, each plotted with all kinds of options, potential traps, and dangers. As we venture into this jungle, we come face to face with our fears, doubts, and our conflicts with all kinds of opportunities and ideas. Coupled with these fears and discords, we may collide with others who are seeking the same path. When we are faced with so many paths and choices, we can become frustrated, and be led into the possibility of making wrong decisions. This, in turn, can become a string of lost and broken friendships that further direct our lives toward conflict and strife. Or, perhaps we find the right path, by chance, leading to a life of contentment, harmony, and love. Do we step back or do we proceed? If we stay off the path, we end up in loneliness and despair. If we take our chances, we can become lost and hurt. So, what do we do? We need to be willing to choose a direction, and move ahead on that path. Then, the questions become, what is that direction? How can I find it? We may ask, and even plead, what do I do? Where do I go? With whom do I desire to share my life? Is there a Divine plan for me? Do I need to prepare myself first, or can we just dive right in according to our own whims? Or, Do I seek God’s precepts, so I can take the path with more confidence? It is the goal of this book to help you in your journey through this dark jungle, to seek God’s plan and the right approach to take. We will look at what God’s Word has to say--His timeless, tested, and righteous path on which we can walk. We can go into that dark jungle armed with the Light of His Word so we can take risks, and make right decisions; we can find and form friendships that work! After all, the meaning of the Christian life is relationships--first with God, and then with the others around us. That is why we are on this earth. This is the only experience we take with us into eternity. When we are walking on His path, with His Light, we will experience the wonder and excitement of life. Let us be willing to look up and experience His Wonder! I have been placed in a “catbird seat” for observing relationships from being in pastoral ministry for over twenty years and as many years of counseling. These observations, along with my education, and fueled by my own personal relationship journey (with all the mistakes I have made), have given me a plate full of observations concerning what works and what does not. And, what I have found, believe it or not, is that few Christians ever seek God or His help in their relationship choices; they just dive right into a pool that usually has no water in it. Choosing the right path through that jungle of dark apprehensions will be the most important decision we ever make, because this is what will echo into eternity. Relationship choices are far more important than our other daily decisions, including what school to attend or what career to undertake. Yet, few take this seriously. When we venture into the shadowy jungle, getting ourselves entangled in the vines and thorn bushes of relationships, the options confronting us will cause us either to embrace others with eagerness, or become fearful and alone. One path may make us content, the other, bitter. These trepidations are a natural defense mechanism warning us away from dangerous situations. Added to these natural fears are all the various attitudes of our culture and the desires of our will, all diverging with one another, causing chaos and conflict. Meanwhile, Christ is seeking us, beckoning us to follow Him out of that deep, dark, dangerous jungle on to a path of solid, lasting relationships, where the vines become arms of love and the rose bushes lose their thorns. In this way, we can develop close friendships, date successfully, understand and give real authentic love, find the right spouse, and even develop a healthy marriage. Relationships are important. Yes, there are other activities and goals that preoccupy us in life, such as our jobs, cars, hobbies, money, and having fun. However, consider these thoughts: When you are at the end of your sojourn on this earth, what will you have received from it? What will you take with you? Will it be that successful career? What about that hobby that took all of your time? Would it be the wealth that you accumulated? I am not saying these things are not important to pursue; rather, they are just a few of the various means to do what really is important, and that is, building relationships! Career, material accumulation, activities, money, and having fun are not the goals in life; they are only portions of the means to the goal. The reason for, and meaning of life is, again, relationships--with God and then with others! Relationships include a variety of options and challenges. We can easily see many choices, yet we have so little time to investigate them. So many ways, opportunities, and ideas to go about it, but in our heart we know there is only one real Truth. How can one navigate this strange land? How can we find God’s real purpose and plan? How can we turn our wrong choices into good ones? Can we learn how to build quality relationships, even if we have never experienced one? Does He have only one, precise person chosen to be my spouse? If so, how do I find that one? How can I develop a genuine best friend relationship that will last? How can I make my marriage work?